Produced by the Unity Council since 1996, this free, outdoor festival brought some 100,000 celebrants to the vibrant, culturally-rich Fruitvale neighborhood to enjoy world-class live music, family-friendly games, rides and activities, traditional Latin American artisans, and the stunning altar artistic installations created by community members paying homage to los Muertos. Families across California join us to experience live music, Ballet Folklorico, Aztec dancers and to shop at the local artisan craft stands. 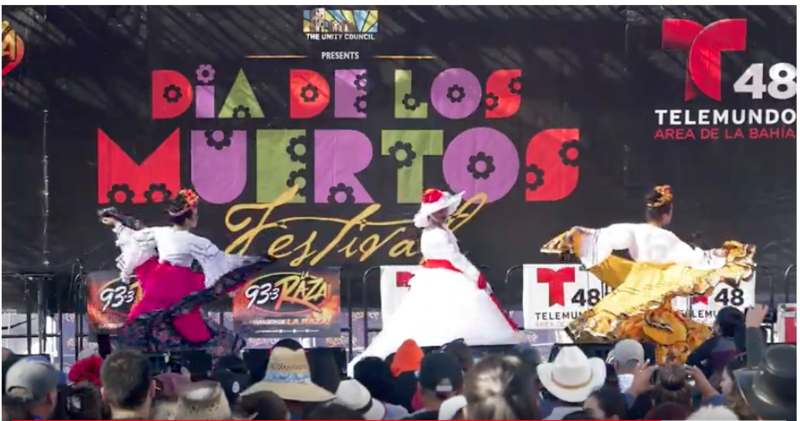 The Día de los Muertos Festival was inducted into the U.S. Library of Congress by Congresswoman Barbara Lee as a “Local Legacy.” Enjoy it here!